The Government offered Nissan support of up to £80 million if the Japanese firm built new models at its UK plant, it has been revealed. Business Secretary Greg Clark made the offer in a letter to the then-head of Nissan, Carlos Ghosn in October 2016, a few months after the EU referendum. Mr Clark said he wanted to set out ways the Government wanted to work with the carmaker ahead of investment decisions it was due to make. The letter said: “As a demonstration of the UK Government’s commitment, we are already working with your UK team on a package of support in areas such as skills, R&D and innovation. “Work continues but I understand this could amount to additional support of up to £80 million. You will understand of course that this figure will be subject to business cases being developed, which are independently assessed, and the usual processes of due diligence. The letter was published a day after Nissan announced it would not be building its X-Trail car in Sunderland. The company said the decision was taken for business reasons, but made clear that continued uncertainty around the UK’s future relationship with the EU was not helping it plan for the future. Mr Clark said in his letter: “The Government fully recognises the significance of the EU market to your presence in Sunderland. It will be a critical priority of our negotiation to support UK car manufacturers and ensure that their ability to export to and from the EU is not adversely affected by the UK’s future relationship with the EU. The development came after union leaders pressed Nissan for guarantees on jobs and future production. Officials from Unite met with management at the Sunderland plant and expressed their “anger and disappointment” over how the announcement over future production of the X-Trail was handled. Unite official Steve Bush said a “great deal of anxiety” had been caused to the 7,000-strong workforce. 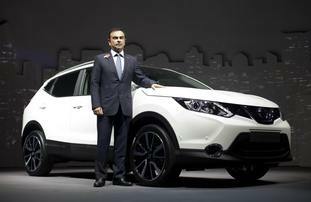 He said guarantees had been given that future production of the Juke and Qashqai models were not affected. Mr Bush said: “Unite will continue to press for further long-term guarantees over future investment and new models to secure the site’s future for generations to come. “What this whole sorry saga shows is that the sector-wide uncertainty caused by Brexit urgently needs to be addressed by ministers because it is draining the industry of skills, investment and new jobs. “The Government also needs to get a grip and do more to support car workers and the industry in the transition away from diesel to alternatively powered vehicles. An offer of grants totalling £61 million was made to Nissan in June 2018, Mr Clark revealed today. The Business Secretary said in a letter to Rachel Reeves, who chairs the Business Select Committee, that a package of support included skills, research and development and innovation. Mr Clark said that when he appeared before the committee in December 2016, there were aspects of his letter to Nissan that were commercially confidential. “Further to my discussions with Nissan on Friday and over the weekend, I understand that the commercial confidentialities for Nissan are now reduced,” he wrote.